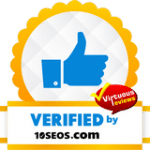 As soon as you begin dealing with online SEO agencies, like BestSEO4u, you will be asked about whether you have a blog attached to your website already or you want to get one. If you’re looking to grow a successful online venture, there is no way around it – blogs are essential. Starting one, making it user-friendly and giving it a beautiful design are the first concerns; then comes the content. Do you have what it takes to make a new exciting article post once every few days or at least once a week? If you do have ideas, for how long can you keep the pace? Do you know your business niche or industry that well? Sometimes, staying on top of your game and writing one great blog post after another is not as easy as it may seem in the beginning. We are here to help you out. A constantly updated blog is a must-have for many, many reasons. First of all, it communicates to your visitors that you have significant knowledge and even expertise in your chosen field. Secondly, it has an enormous impact on your SEO efforts. In every optimised blog post, you can insert a series of keywords you want to focus on. Thus, you can expand your reach, by writing on many connected topics. With every post being SEO-friendly, you send a new signal to search engines. Your website begins to score better, as its content becomes richer and grows at a steady pace. In consequence, you are drawing more traffic to your pages, and these potential customers need to be greeted with new, engaging, fresh content. No one likes landing on a blog that’s stale or uninteresting. Therefore you have to keep updating it. They resort to web tools that can instantly provide them with topics and titles based on a given keyword they submit. This is a great method for inspiration, as well as for finding a catchy title that makes readers curious. Writers take a look at competitors. Competition research is an integrative part of what we do because it allows us to see what works in a certain industry and what strategies pay off. As expected, we peek at the leaders. Writers get on social media, to see what’s hot and trending. They also check news websites relevant to the given topic or industry. They create surveys, to see what the readers of a particular blog are interested in, then use the results to create new posts. Because some of these approaches need to be explained more in detail, we are going to do that below. Get quick help when you don’t know what to post about. You are only required to identify a keyword you want to focus on. Online, you will find loads of tools, such as topic finders and title generators. Thus, in less than a minute you can bypass hour of intense thinking and brainstorming. The tools will generate at least several ideas you can begin to write about right away. Being open and revealing your personal experiences with the industry, the brand, the main topic etc. will certainly pay out. People love to find out details and stories from those who have created something meaningful or useful or from those who succeeded in a field they are interested in. You could, for example, write about the mistakes you’ve made, the story of your success, the people who helped, inspired or impressed you and so on. Make sure it is all connected to what you’re doing or selling online. It needs to add value to your brand. Offer insights on which part has been the most challenging for you or what tools helped you climb up. Honesty is attractive, therefore use it. 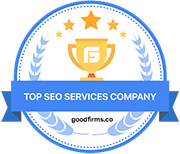 The top competitors in your niche will not only help you find new blog post topics but also reveal to you the ones that work best with the audiences. If you hire someone to go in depth and do a bit of keyword analysis too, then you’ll have some precious information on your hands to work with. Search the blogs of your competitors – but don’t copy! If you’re really interested in finding the best topics, then you should use the readers’ comments as an indicator; the most crowded posts are the ones that attract the most visitors. Try to make your posts better by researching more, including the latest news or advancing a different perspective. These are the three concepts behind all the successful SEO friendly blog posts out there. It is imperative to write in a way to make people feel like they can succeed, too. Discuss one particular example of success, originality etc., for instance. Don’t be afraid to come up with intriguing perspectives or unusual views, as long as these are reasonable and you have facts or good ideas to back them up with. A more controversial take on a given topic may attract more views, regardless of how people feel about it. Keep it civil though and do not stir any hatred or scandal. You might get visitors for a while, but it will quickly subside, as people won’t be interested again in checking your blog. As for the entertainment part, you can simply share an unexpected story connected to your industry or list some fun facts about that which you are selling. You may have something to sell, but people won’t buy just because. They need good reasons; they need to know why your offering is better than that of your competitors. But before any customer goes shopping, they have an issue first, a problem that calls for a solution, and so they look online for it. We usually read blogs online to find out more about that which interests us, to get the relevant details in order to make up our mind about something. Your blog posts may thus have this as a goal: to help your confused readers make a decision. Explore your topic of choice and think about the details and reasons that make your product or brand special. In which ways does it help people? What makes it worthwhile? In the event you cannot fully commit to the writing process, you can have us handle the task professionally. 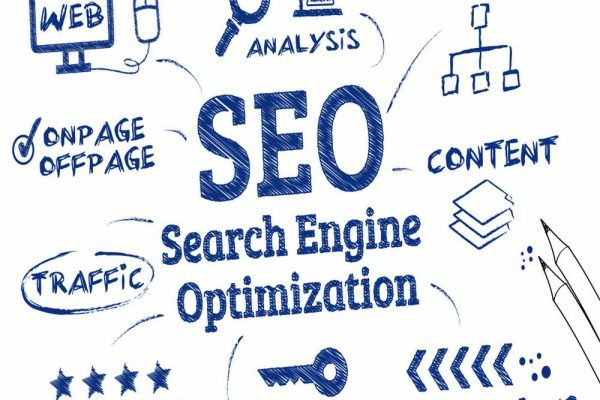 The BestSEO4u in-house writers are quick to meet the deadlines, at the same time taking enough time to research the topics thoroughly and present clients with original, 100% correct and neat content, which leaves a lasting impression on readers and highlights the quality of the brand. A blog done correctly sends many positive ranking signals and grows your online authority.